For many non-Muslims, jihad is synonymous with violence. We've all seen images of ISIS and other extremists using the term to justify their butchery. But jihad is traditionally defined as a noble endeavour -- more about how to live than how to die. In this documentary, contributor Naheed Mustafa looks at the origins of jihad, how it's been transformed into a narrowly defined call to fight -- and what can be done to reclaim it. For many non-Muslims, jihad is synonymous with violence. We've all seen images of ISIS and other extremists using the term to justify their butchery. But jihad is traditionally defined as a noble endeavour -- more about how to live than how to die. Contributor Naheed Mustafa looks at the origins of jihad, how it's been transformed into a narrowly defined call to fight -- and what can be done to reclaim it. **This episode originally aired September 16, 2015. SHOW HIGHLIGHT: Naheed Mustafa talks to Abdullah Anas, who fought alongside Osama bin Laden. The two later had a falling out over the idea of taking jihad globally. Anas believes that radicalized notion of jihad has been catastrophic. 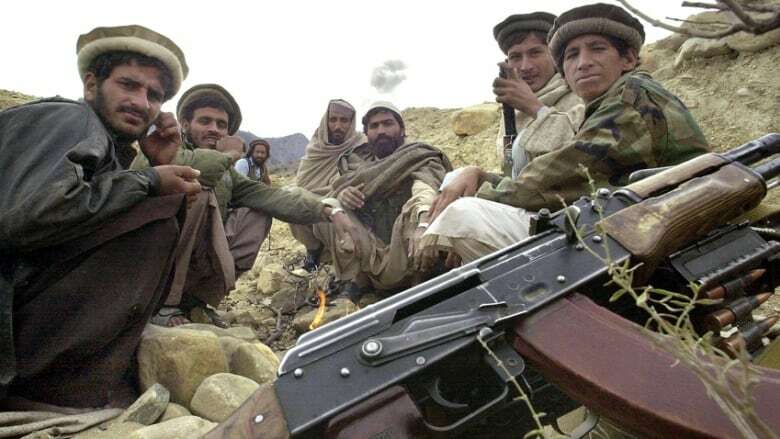 Abdullah Anas - was one of the first foreign fighters to join Afghan mujahideen during the Afghan-Soviet war. Currently lives in the UK. Niamatullah Arghandabi - a former Mujahideen fighter now living mostly in Afghanistan. Yasir Qadhi - Resident scholar at the Memphis Islamic Center and assistant professor in the department of religious studies at Rhodes College in Memphis, Tennessee. The Arabs at War in Afghanistan by Mustafa Hamid and Leah Farrell, published by Hurst. The De-radicalization of Jihadists: Transforming armed Islamist Movements by Omar Ashour, published by Routledge.